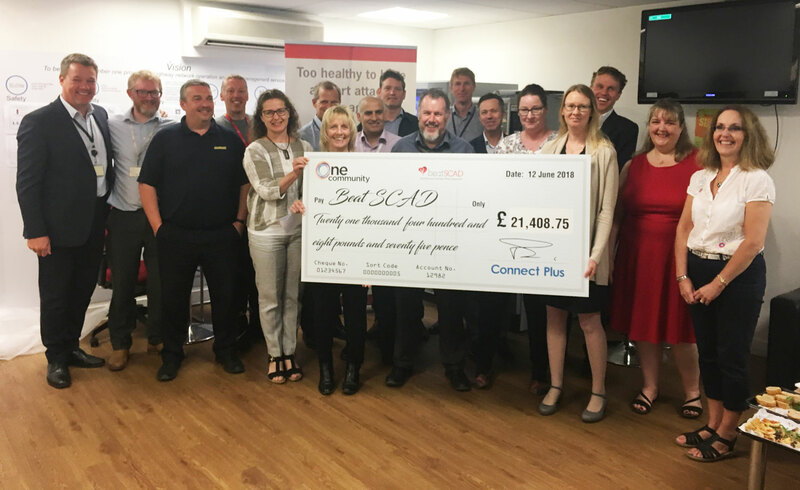 A team of 30 cyclists and their support team have raised a fantastic £21,408.75 for Beat SCAD during a very challenging cycle ride from Barcelona to Beziers. 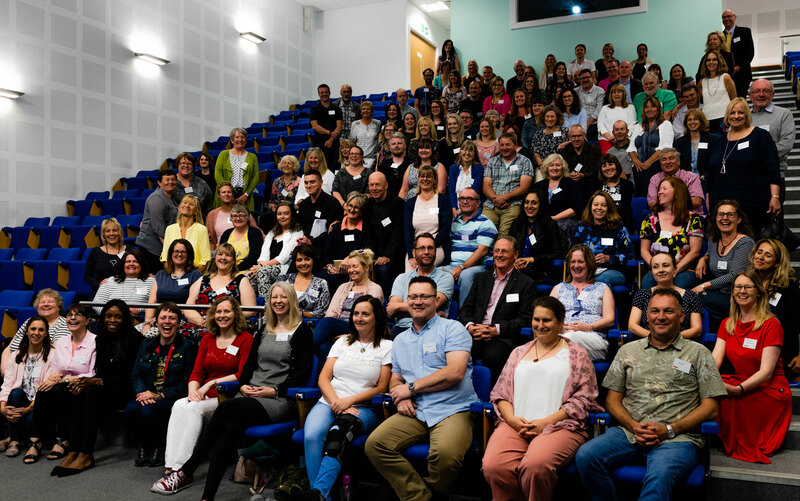 The One Community group encompasses companies from across the M25 community, including Connect Plus, Connect Plus Services, Highways England, Equitix, Osborne, Jackson Framworks Ltd, Aconex, R&W, Aggregate Industries, DGA, Atkins, AECOM and Vines Group. 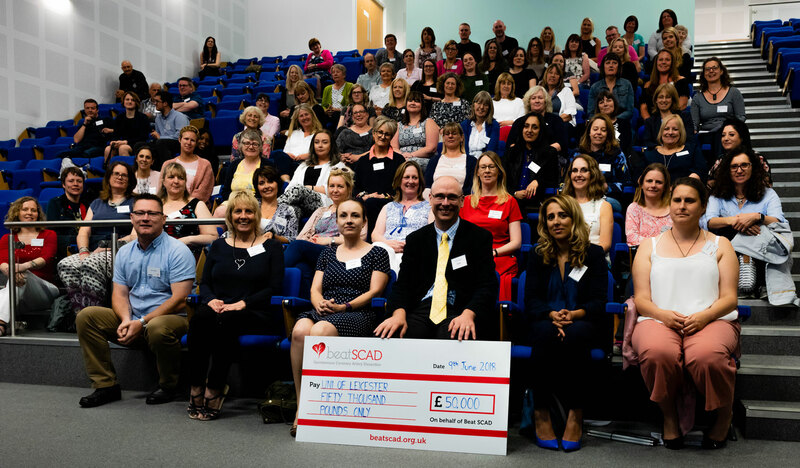 Their annual cycle ride takes different routes each year and raises money for charities and this year Beat SCAD was honoured to be chosen. Beat SCAD is a cause very close to one team member’s heart. John Worsfold, who drove one of the support vehicles during the three-day challenge, has seen his wife, Danielle, suffer two SCADs. The 289-mile route across the Pyrenees Mountains was the longest and hardest route the cyclists have attempted. Cyclists climbed 18,152 feet, including a marathon 10,203 feet on day 1. The first support van covered 2,369 miles at an average 41mph and the second support van did 2,130 miles – and used eight tanks of fuel! 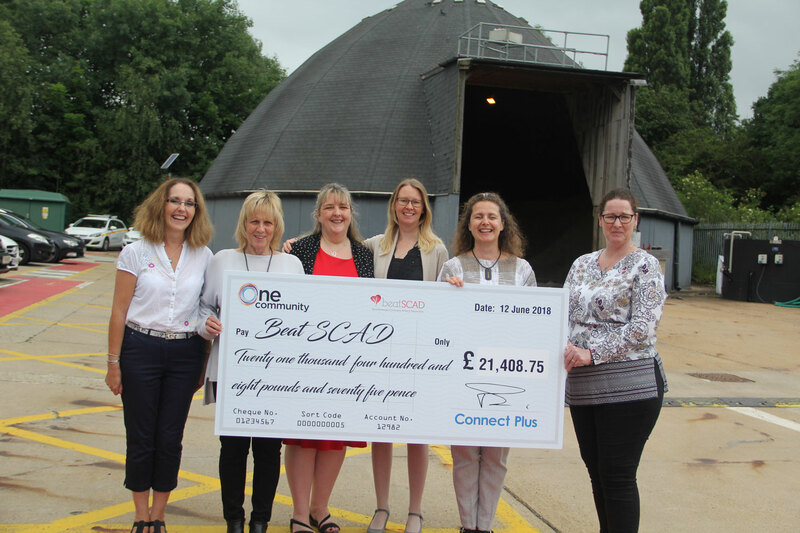 Beat SCAD Trustees Rebecca Breslin, Karen Rockell, Sarah Coombes and Debbie Oliver, together with volunteer Jacqui Hughes and Danielle Worsfold, were invited to Connect Plus’ headquarters in South Mimms on 12 June to be presented with a cheque for the funds raised. We were treated to a great video showing footage from the ride – those hills were very steep! We also met some of the cyclists and heard stories from the trip, including tales of frozen fingers, broken rules and sore muscles! 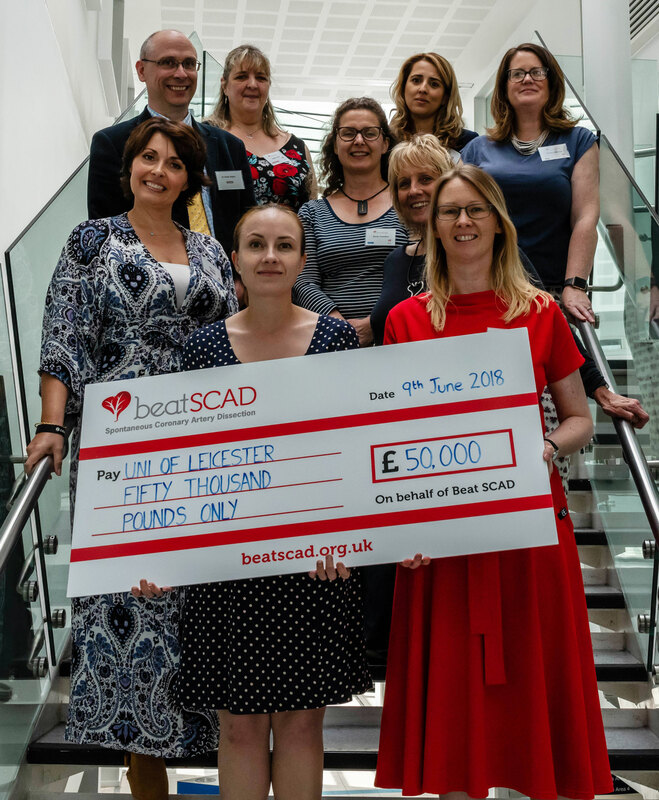 In thanking everyone who took part, we were able to tell them that their fundraising has made a massive difference and enabled Beat SCAD to double our planned donation of £25,000 to the research project at Leicester University/Glenfield Hospital, to £50,000! 1) Increasing the total number of delegates attending (116 vs 110 in 2016 and 88 in 2015), including healthcare professionals from cardiac rehabilitation services. 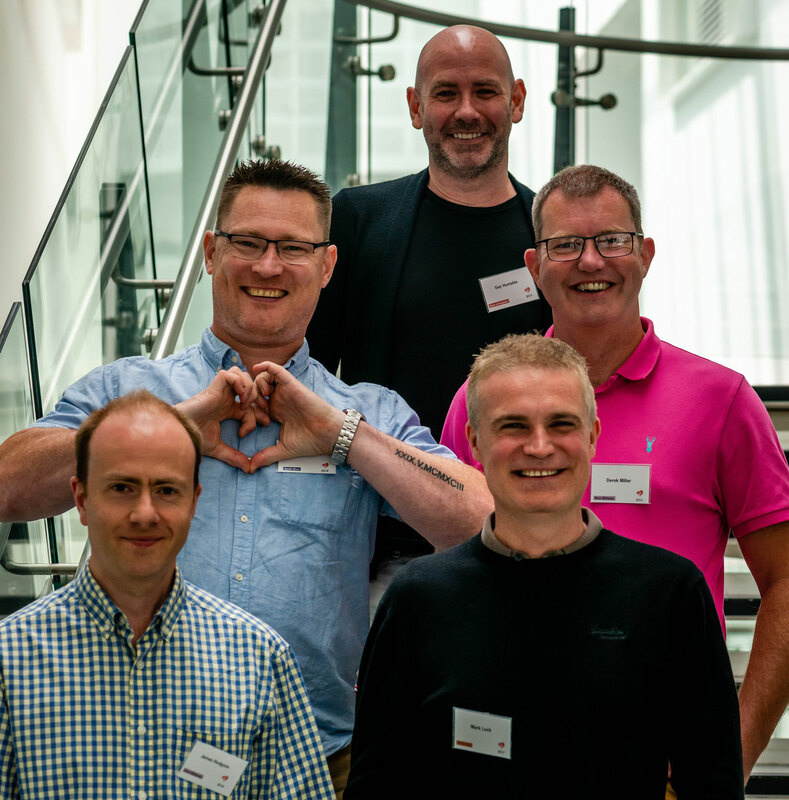 2) Increasing the number of SCAD survivors together in one place (68 vs 61 in 2016 and 49 in 2015), including five male survivors. 3) Doubling the amount of money previously donated to the research project. 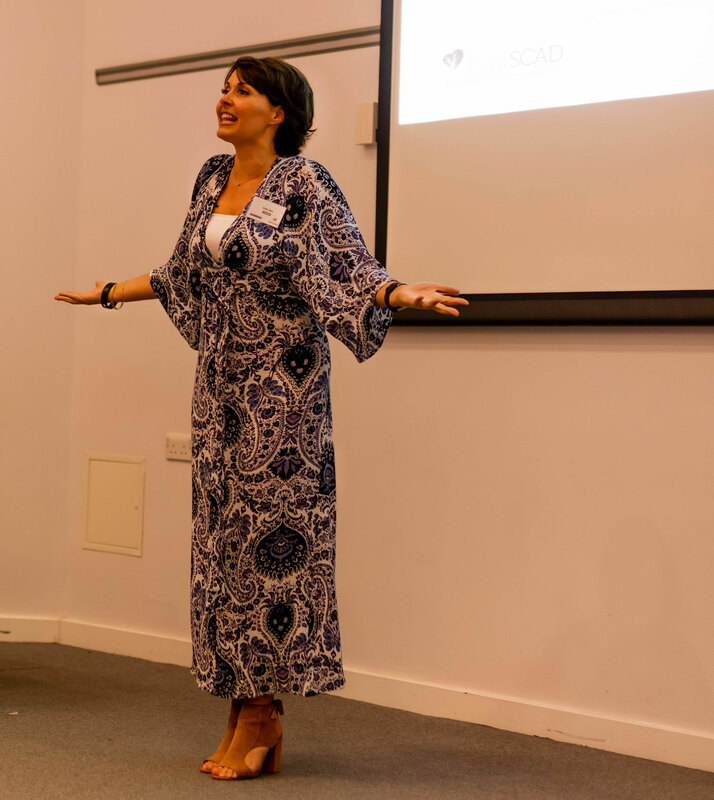 Rebecca Breslin, Trustee Chair, kicked off the day by launching the charity’s new short film Together we will beat SCAD. 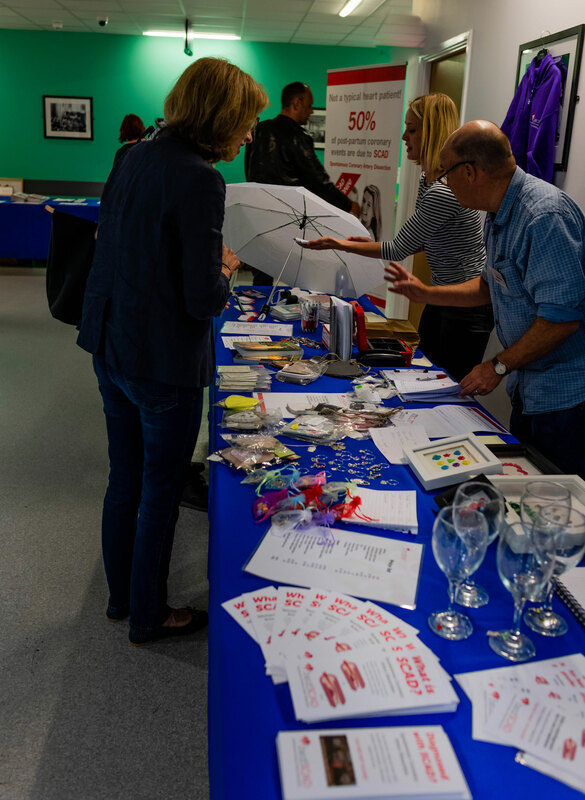 This was followed by a summary of important milestones achieved since the last conference in November 2016, including publication of the second annual report, updated leaflets and growth of the trustee board. 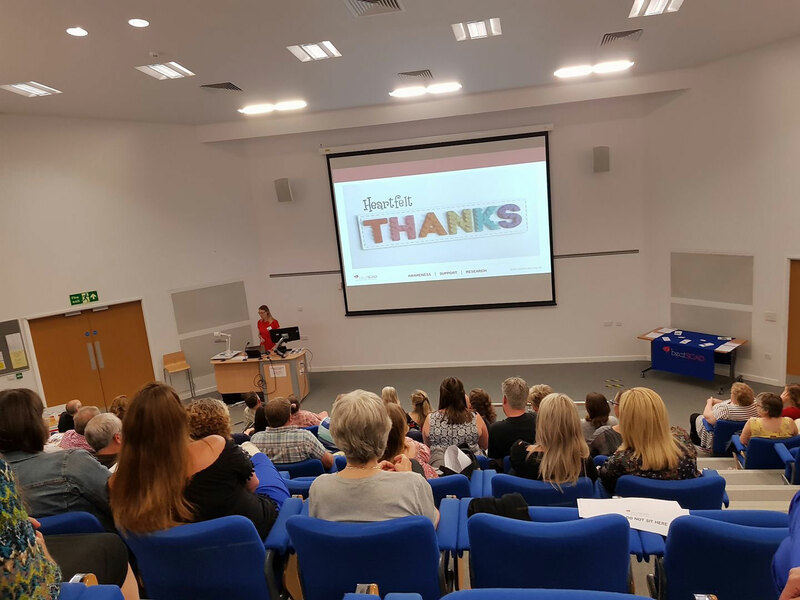 During the opening presentation, Rebecca thanked the many amazing fundraisers who have completed a variety of challenges, and their supporters who have all contributed to the charity’s next research donation: an incredible £50,000. 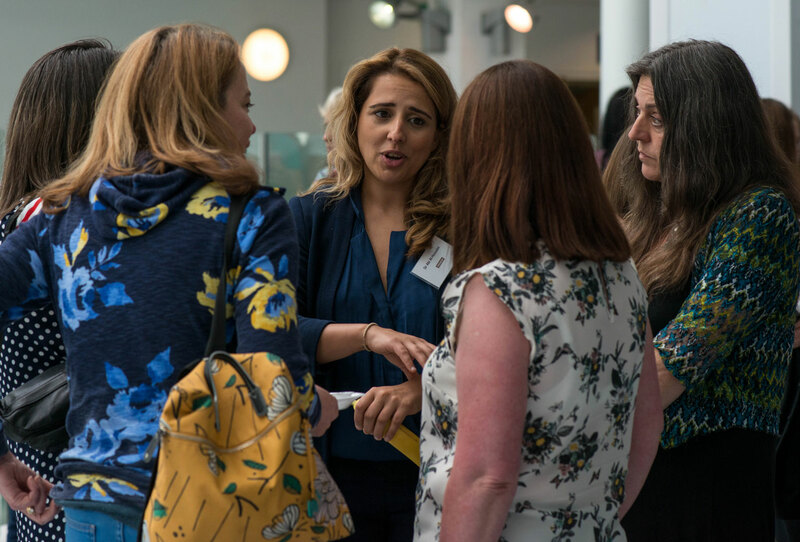 The day continued with a packed agenda of research-focused talks by Dr David Adlam and Dr Alice Wood (SCAD Research Fellow) from Glenfield Hospital, Leicester and Dr Abi Al-Hussaini, Consultant Cardiologist, Chelsea & Westminster Hospital, London. 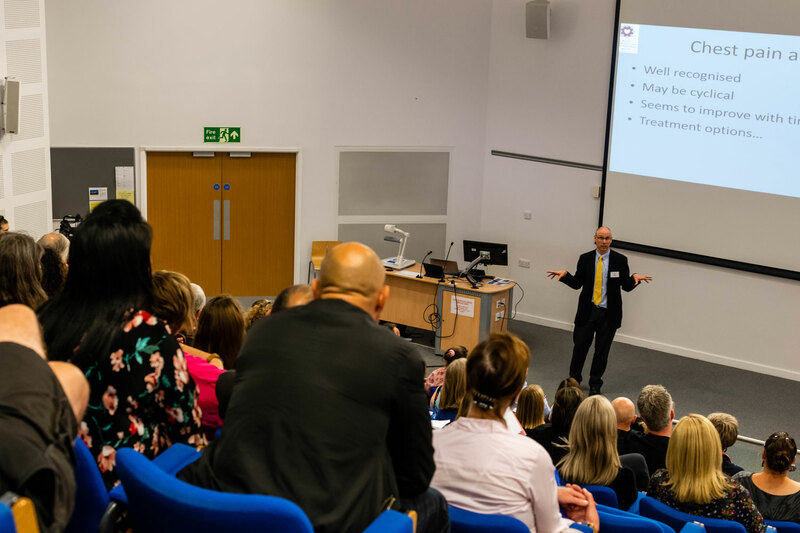 Dr Adlam delivered a fascinating first talk with his usual charisma and humour, whilst always aiming to explain complex medical content in less complex terms, so it was relatable by all delegates (not an easy task, SCAD is complicated!) As research progresses and theories evolve, the ‘SCAD 101’ content is adjusting accordingly. This time, delegates heard more about the two mechanisms described in the European Position Paper: ‘inside-out’ (is SCAD a tear?) and ‘outside-in’ (is SCAD a disrupted micro-vessel?). 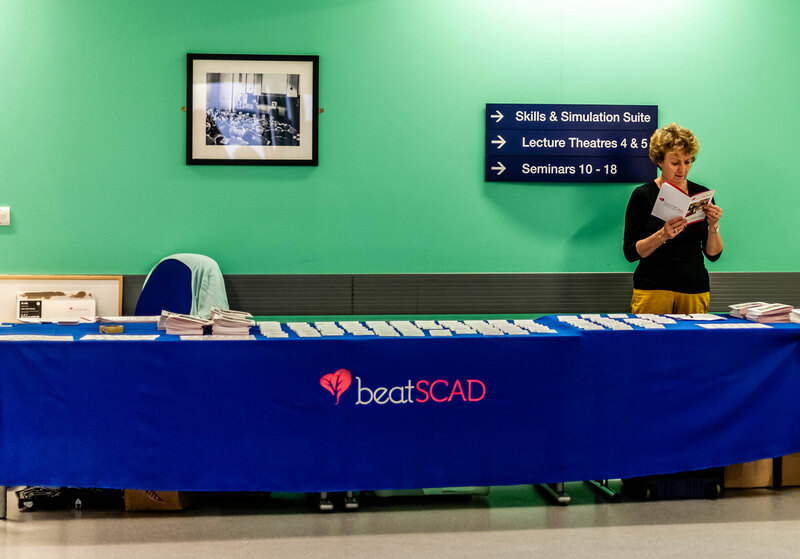 Plus the emerging genetics work involving the commencement of a GWAS (genome wide association study), which a Beat SCAD donation is helping to fund. 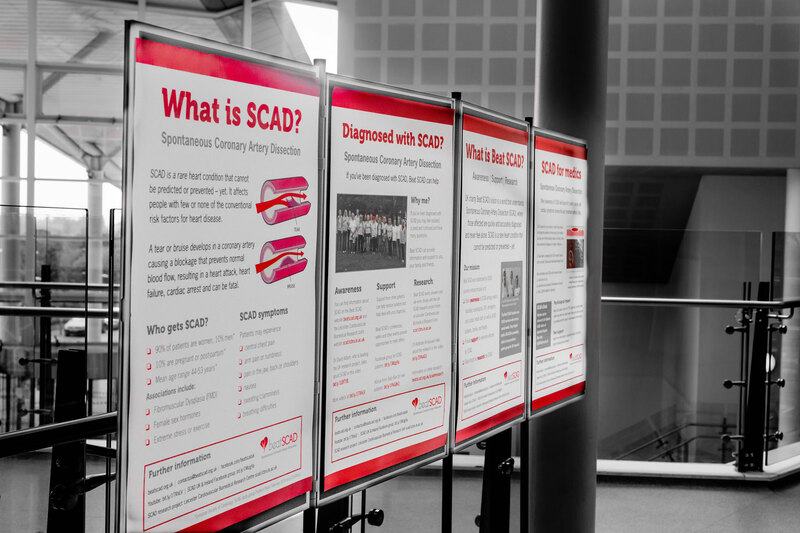 The heritability of SCAD is one of the key questions arising from SCAD patients, with many concerned that their children or other family members could be at risk. Dr Adlam delved a little deeper into this topic and said that most cases of SCAD appear to be sporadic and, while a few familial cases (eg siblings; mother-daughter) are documented, they are rare (<5% of total cases) and do not currently imply a strong heritability of SCAD. 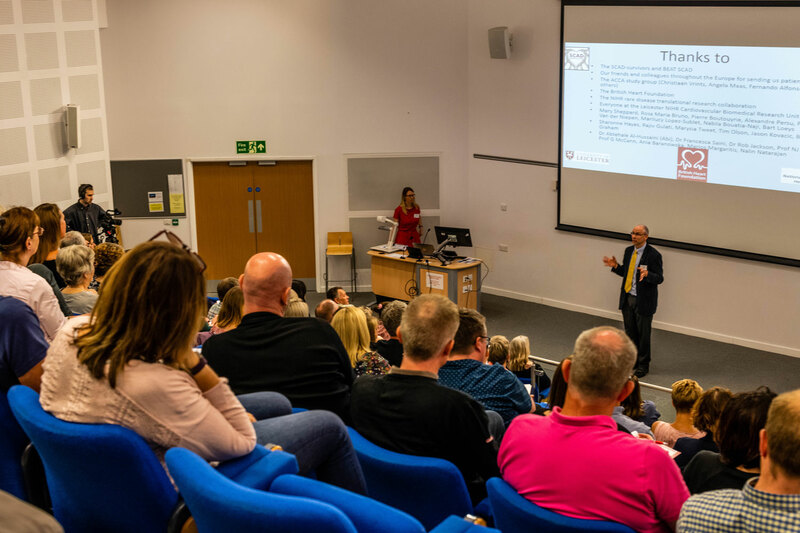 Dr Adlam closed his talk with a summary of his research strategy, plans for further awareness raising, thanks to all involved and an appeal to the SCAD community to continue their amazing support of the research. Dr Wood introduced the audience to the PhD work she is embarking on to investigate some of the subgroups, including male SCAD patients and recurrent cases, as well as exploring the role of female hormones in peri- and post-partum cases, and why some patients continue to experience post-SCAD chest pain. Dr Wood described how the research protocol is evolving to look into patient reported aspects such as intense psychological or physical stress preceding their SCAD and implications regarding coronary spasm, as well as the concept of SCAD being a vulnerability of the artery in combination with some sort of ‘trigger’. Dr Al-Hussaini’s first presentation focused on the growing association of SCAD and Fibromuscular Dysplasia (FMD), describing what FMD is and how it is diagnosed and managed. 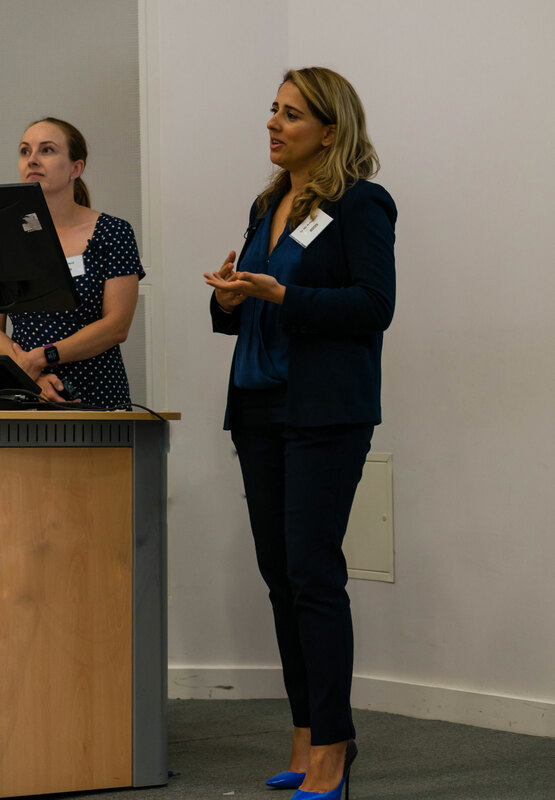 Dr Al-Hussaini discussed the SCAD and FMD clinic she has established at Chelsea & Westminster since her move from Leicester last year. The afternoon talk covered pregnancy-related SCAD events and again included information about Dr Al-Hussaini’s specialist clinic comprising a multidisciplinary team aimed at helping SCAD patients make an informed decision about pregnancy after SCAD and offering health review and support pre-conception and during pregnancy. 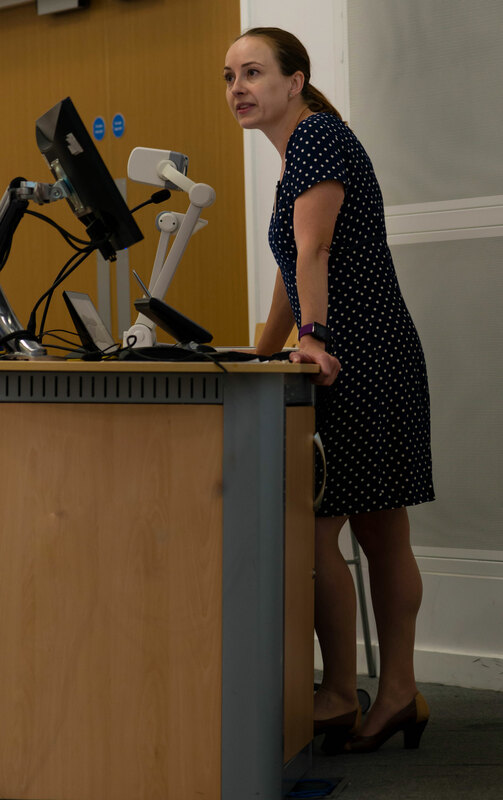 At the end of both morning and afternoon sessions the three SCAD specialists took questions from the audience and from those unable to attend the conference, who had sent questions in advance. Sally Bee, Motivational Speaker in Health and Wellbeing, ITV healthy cook, best-selling author of six healthy cookbooks and two-time SCAD Survivor, delivered an inspiring talk about her SCAD experience and shared important pearls of wisdom about recovering from SCAD, including understanding the grief process, listening to your body, being your own advocate and coping if SCAD strikes again. 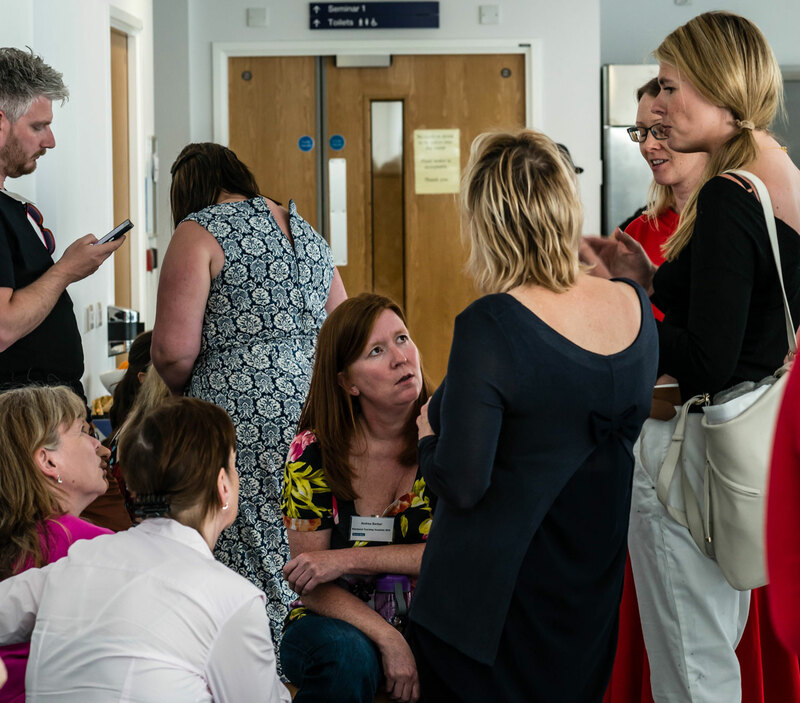 Delegates enjoyed networking time in the refreshment breaks and over a long lunch. 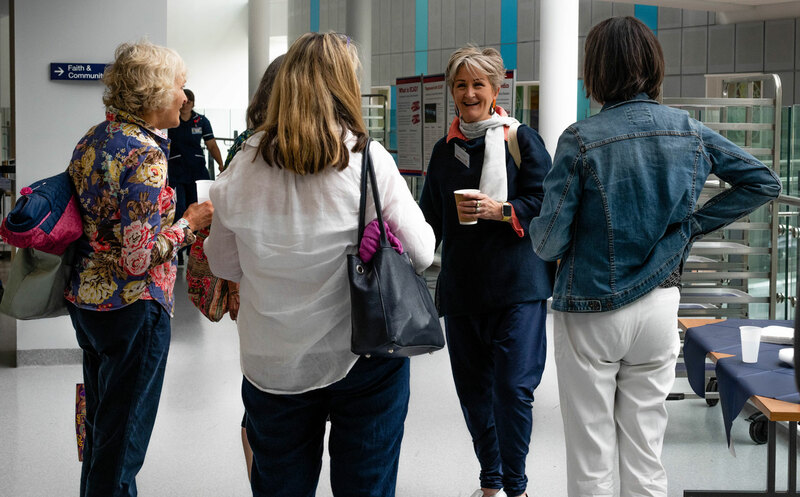 Many of the SCAD community have become great friends via social media and, for some, the conference was the first opportunity to meet in person. 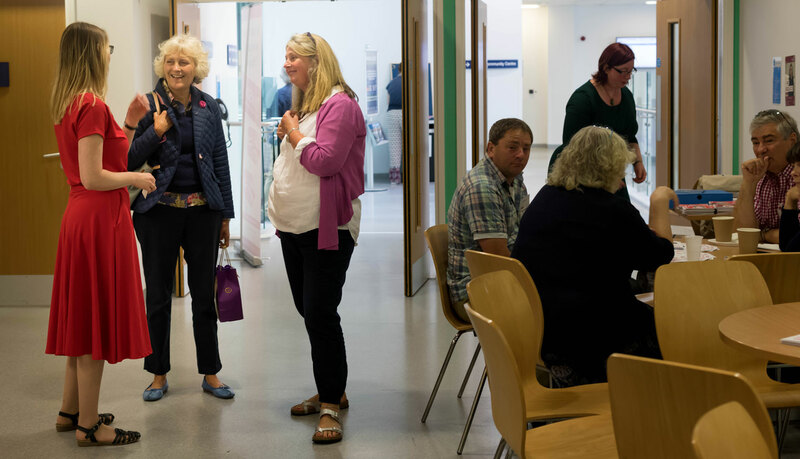 The trustees were pleased to welcome a number of healthcare professionals as delegates this year. 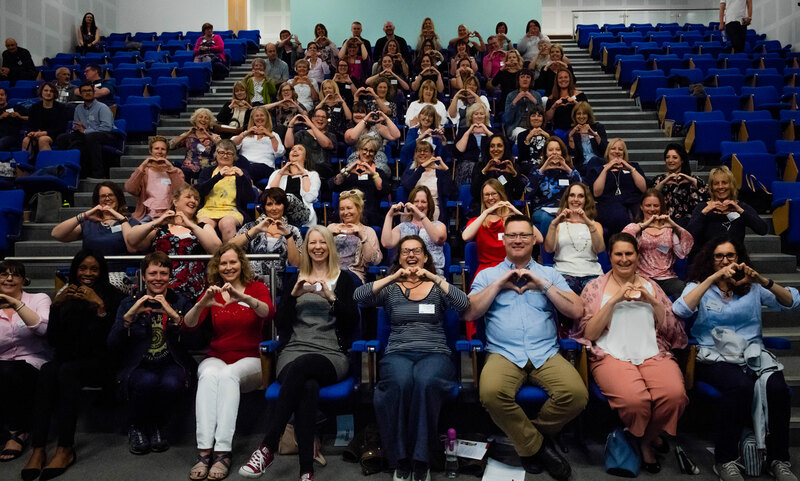 Cardiac rehabilitation nurses attended from Blackpool and Sandwell & West Birmingham, who enjoyed the opportunity to hear research updates and speak with patients about their experiences. 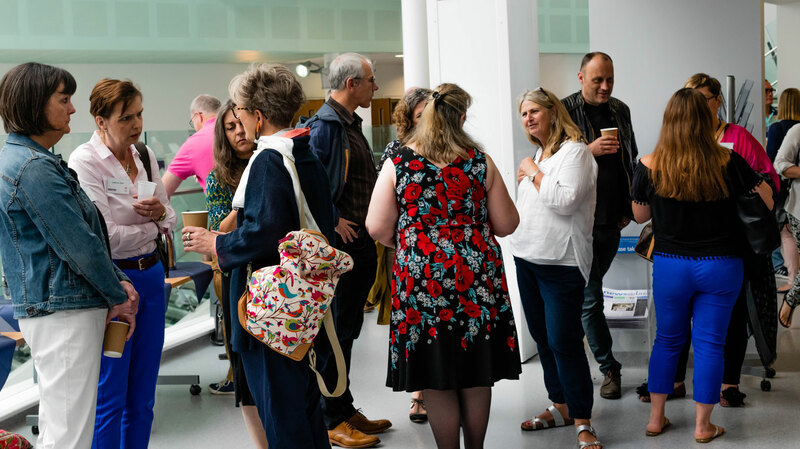 Some delegates joined the Beat SCAD trustees and Dr Adlam at an evening meal after the conference, giving them a further opportunity to network and learn more about SCAD. On the Sunday, some delegates and their families made the most of a lovely sunny day and joined 1km and 5km guided walks around the University of Birmingham campus. 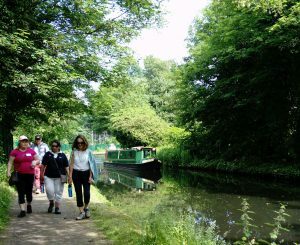 The walk was organised by SCAD survivor Colette Soan and some of her colleagues, who also provided some very welcome tea and cakes after the walk. 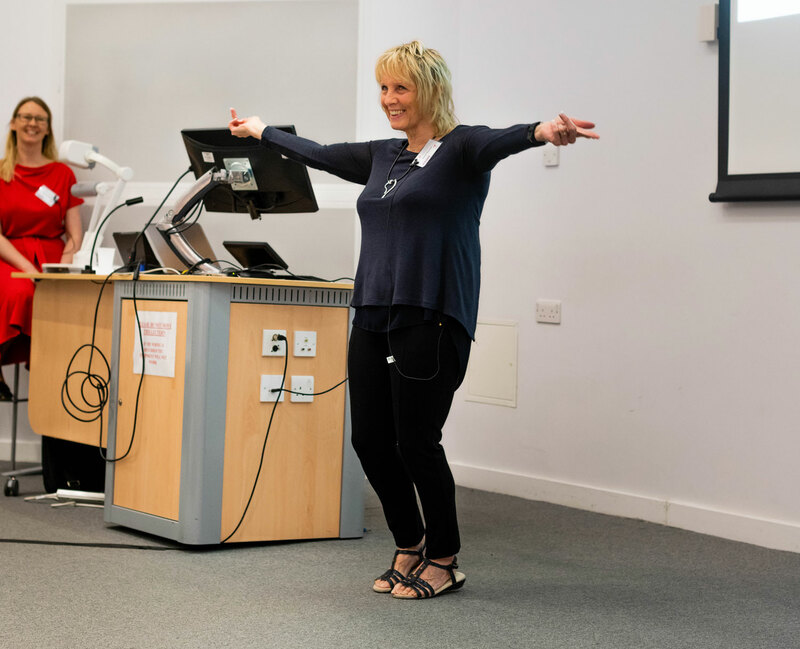 All presentations were filmed, footage is being edited and will be shared as soon as possible. 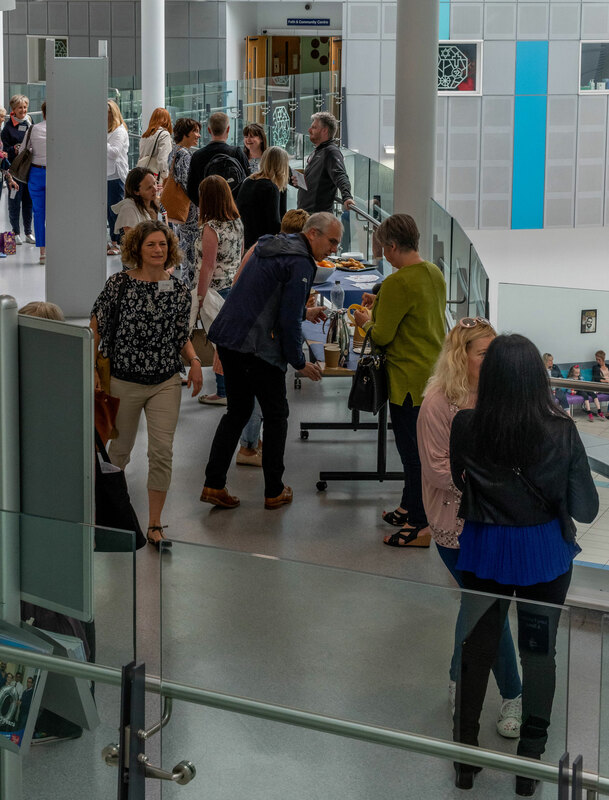 In the meantime, take a look at the photo gallery below, highlights video and the slide decks. And don’t forget to take a few minutes to watch and share Together we will beat SCAD.